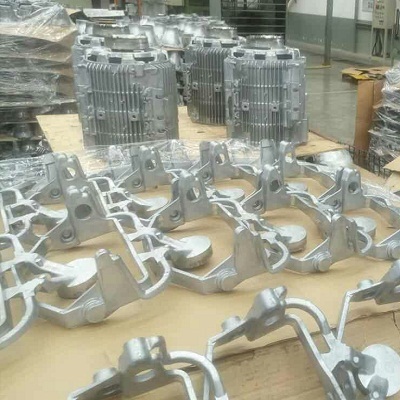 MK-TL is water based Release Agent for Pure Aluminum die casting,such as household electric appliances, motorcycle and medium-sized automotive fittings. 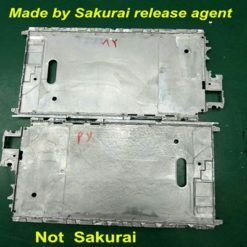 When SAKURAI aluminum release mould spray is sprayed to the mould surface, its effective ingredients form dense film at once. 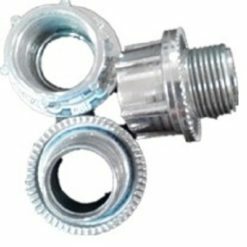 The membrane in the injection process is high pressure resistant, scouring resistant, low friction coefficient, effectively prevents die-casting products to soldering with the mould. At the same time the excellent lubrication performance speeds up the flowing aluminum liquid, so that the aluminum liquid can rapidly form a mould. 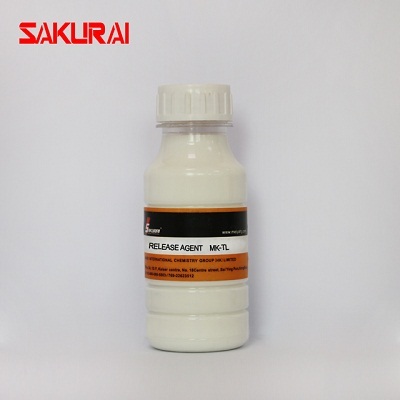 SAKURAI release mould spray adopt rare and special materials. 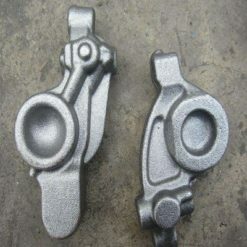 It can effectively solve the problems such as casting surface turns black, too much water lines and cold shut. 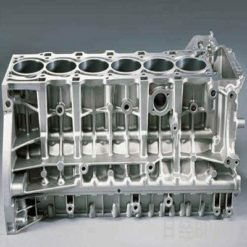 Can solve the problems happening in postprocessing, such as: polishing and electroplating. SAKURAI release mould spray forms a protective film on the mould surface. 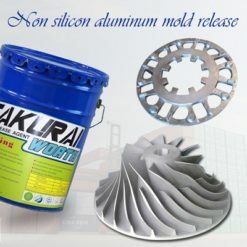 Effectively reduce the heat for the mould and reduce the impact from the liquid aluminum to the machine. 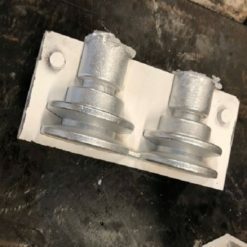 Correct selection of high quality mould release mould spray can effectively protect the mould , prolong the life of the mould and reduce the repair. SAKURAI release mould spray is very easy to use. 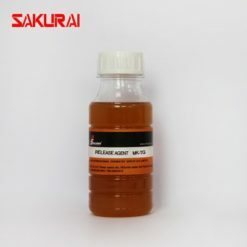 No carbon deposition, no in-cavity deposition , no mold scale and no oxide skin. Reduce the times to clean the mould, and if you use this release mould spray the product surface will be bright and clean, does not affect the subsequent spray plating, polishing and surface treatment. 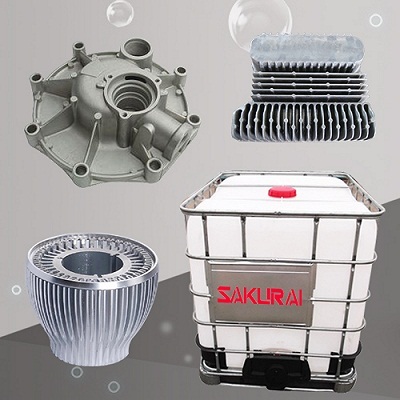 SAKURAI release mould spray has good thermal stability and chemical stability. In the using range of temperature it do not oxidize, not burn, not corrode the mould and not resolve residues on the mould surface. Even at high temperature 300 °C, weight lost few (thermal weight loss not more than 10%). 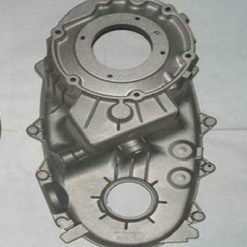 Thus assure, at the high temperature, a strong demoulding film is formed on the mold. 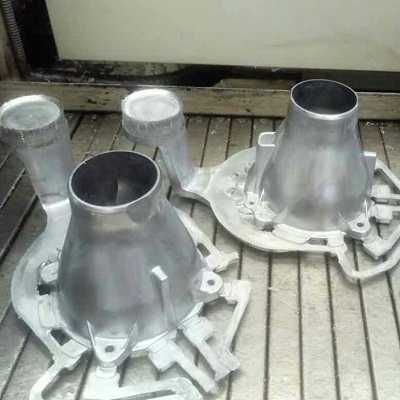 Restraining high temperature sintering, reach the role of lubrication and demoulding. 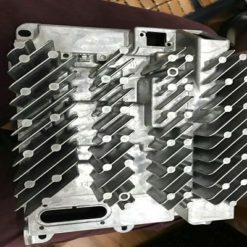 In die casting process because of the high temperature, mould has been heating ,the temperature of liquid metal rises, and the high mold temperature makes die casting defect. SAKURAI release mould spray effectively controls these problems .Such as: soldering, blistering, cracking, and burned. 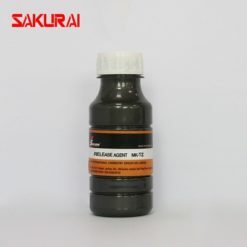 SAKURAI release mould spray is non-toxic, non-flammable, no corrosion, no chemical reaction. In the process of use SAKURAI release mould spray does not contain harmful smoke.